Women Can Be is a brand new feminist zine, “exploring the things that women can be in a world filled with sexist expectations”. It features five female artists from three different countries (who joined together to form an Instagram art collective last year) and it looks mad gorgeous when it shows up on your doorstep. Are you ready down there? Don’t tell me you haven’t heard these words uttered time and time again, as each year we approach British summer time: “Are you beach ready?” and “Are you ready down there?” They’re usually heard alongside smiley women with perfect hair, smiles and, let’s not forget, “body confidence”. If you haven’t, I’ll assume you’ve been living under a rock for some time. 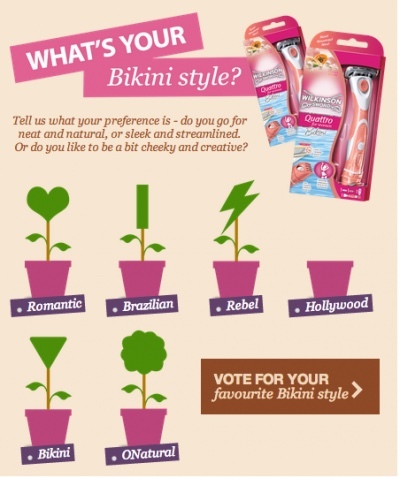 Otherwise, you’ll have been exposed to the idea that you must be bikini ready by Wilkinson’s colourful display of ads.